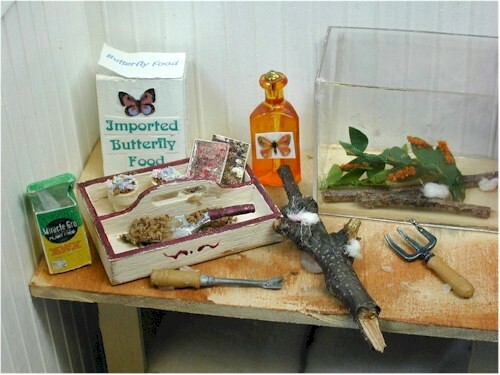 Butterfly Greenhouse Gardens and the butterfly shed. 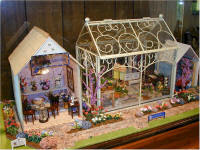 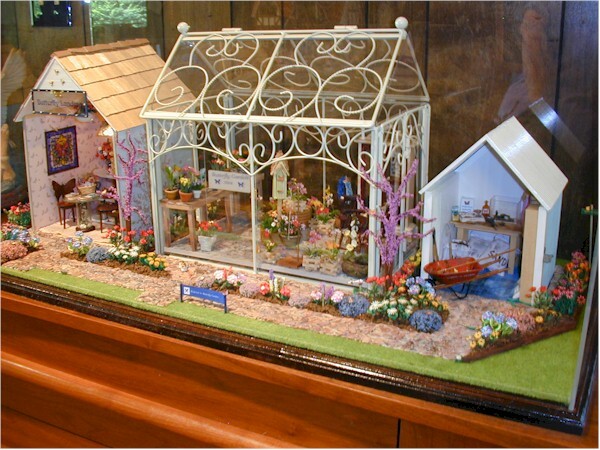 The Greenhouse was a gift from Jan.
Grace made most of the flowers in the gardens. 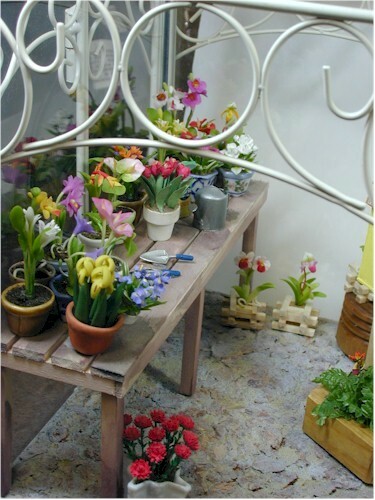 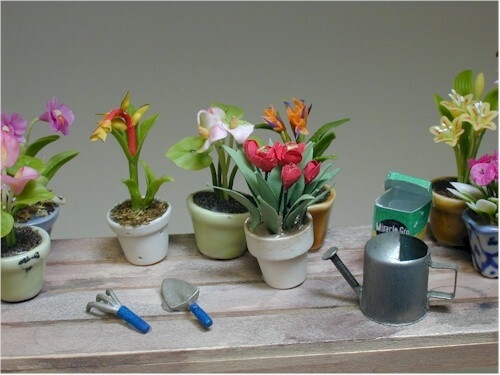 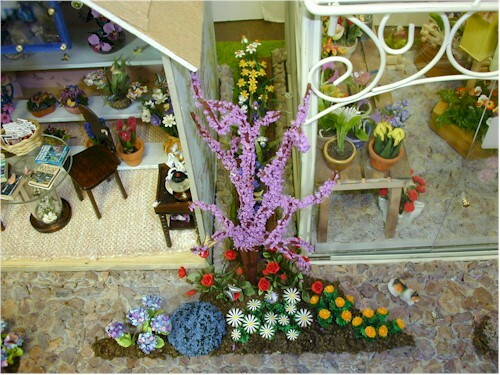 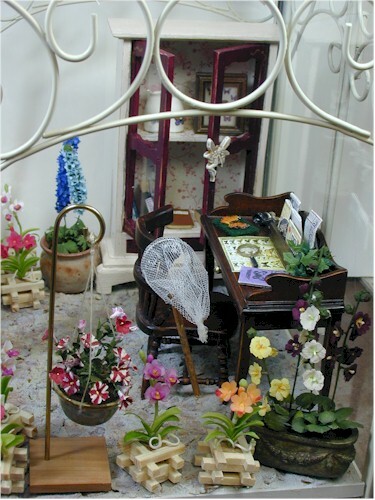 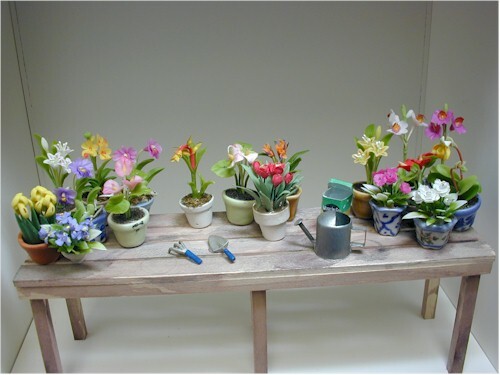 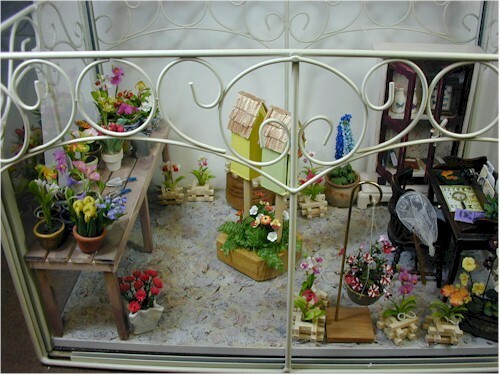 Some of the flowers in the greenhouse were made by Everblooming Clay Flowers. 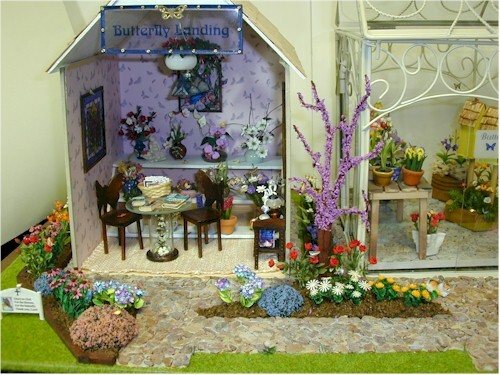 Grace built the potting table and the reversible butterfly house. 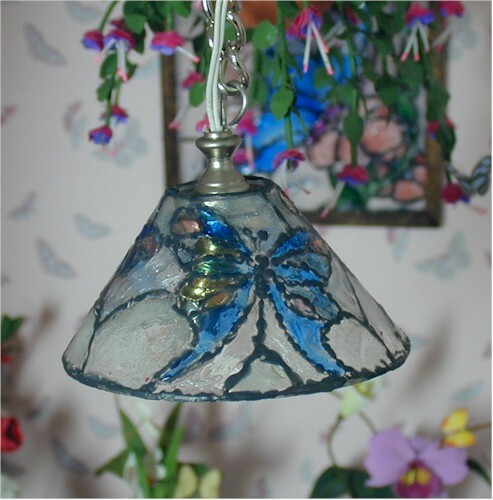 Butterflies from Jeanetta Kendal kits flit throughout the entire complex. 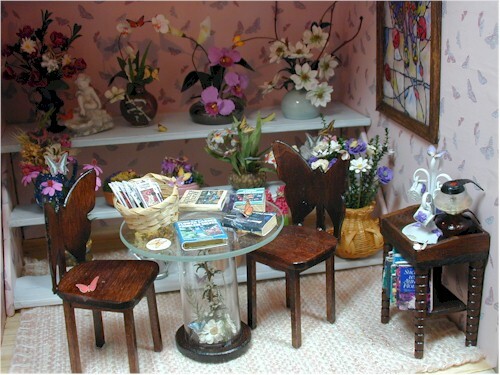 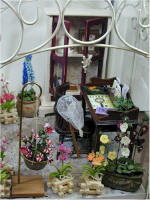 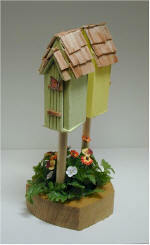 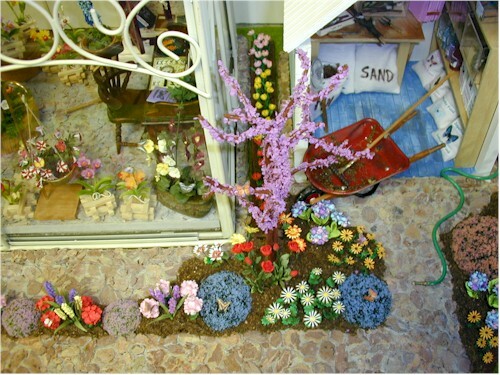 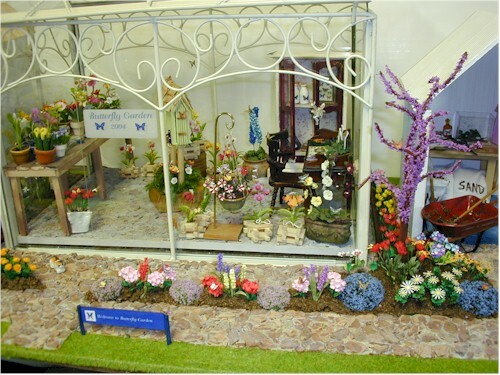 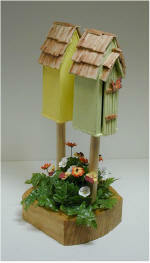 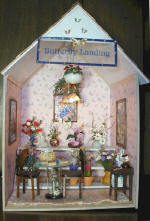 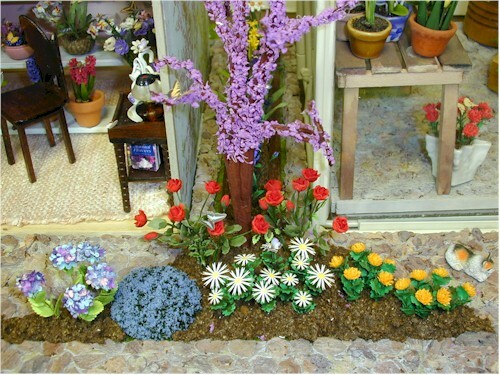 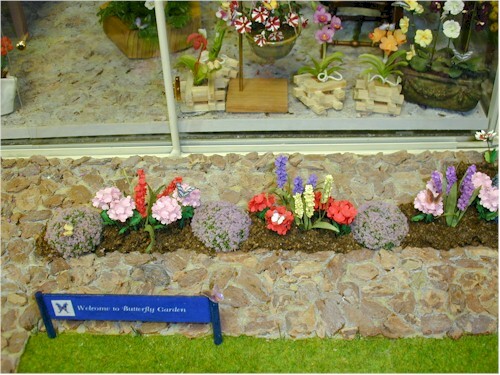 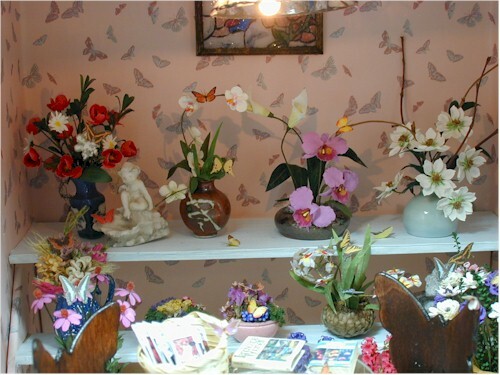 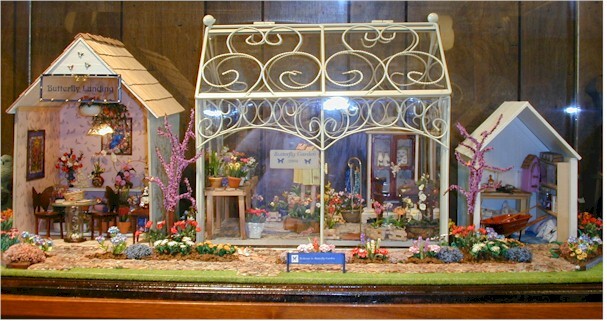 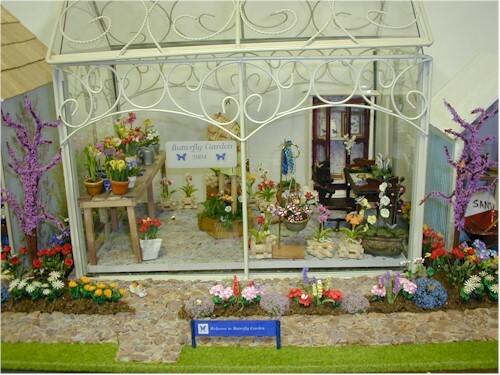 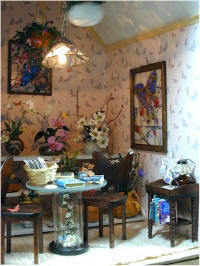 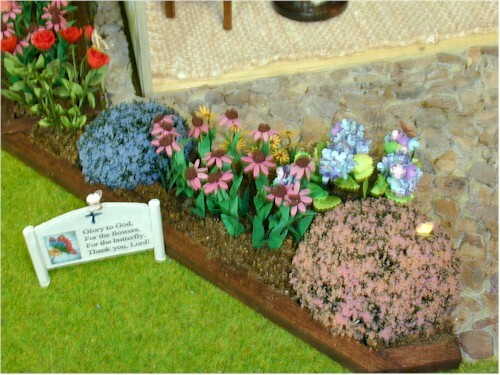 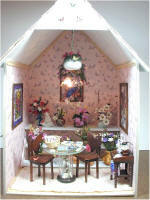 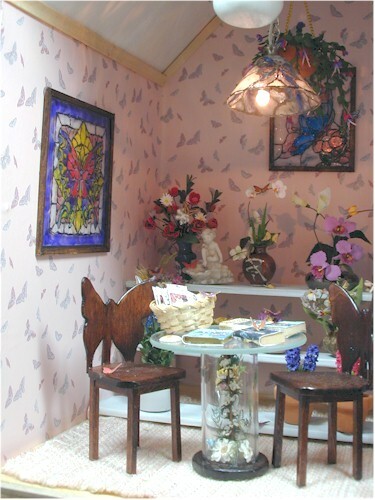 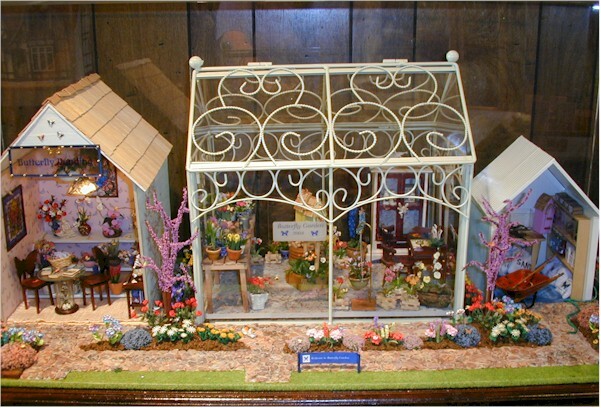 Flowers are made by Gerry Warner, Paula Gilhooley, Linda Steel & Grace Shaw. 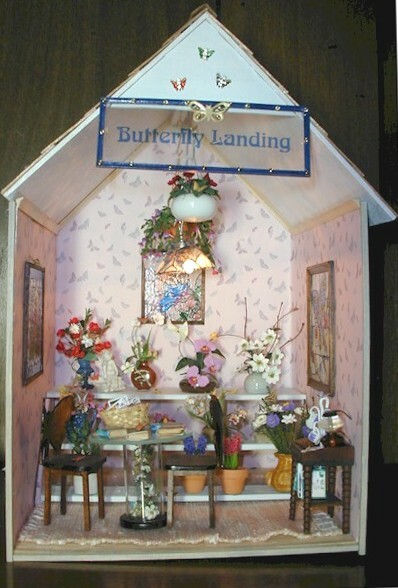 Two views of Butterfly Landing. 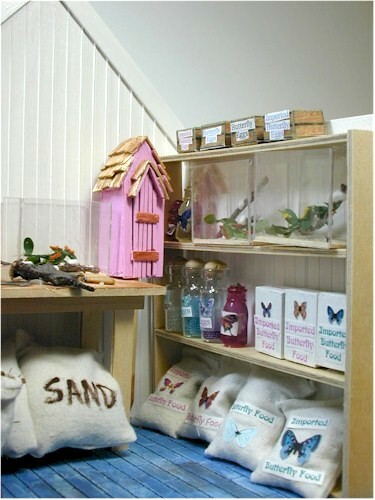 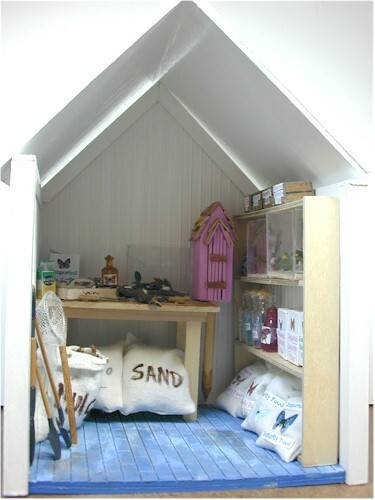 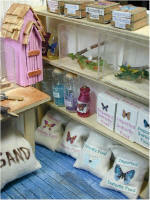 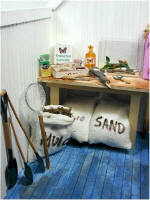 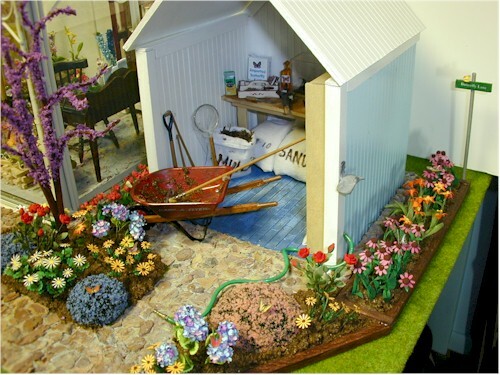 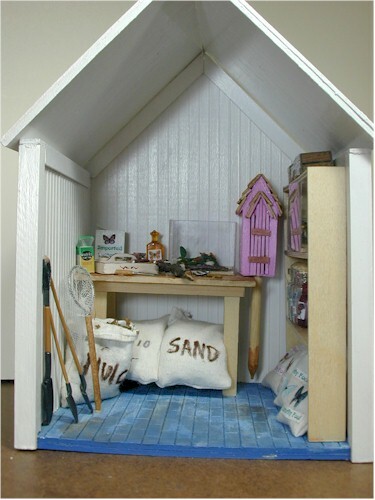 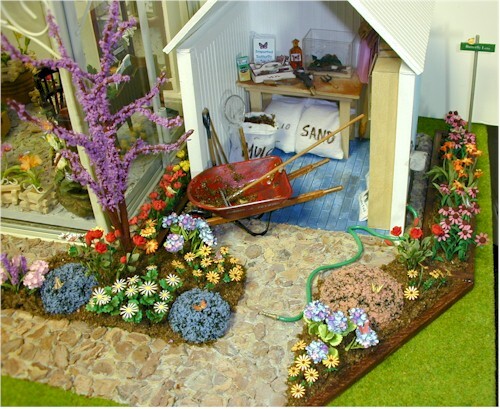 Along with regular tools, this shed contains everything you need to raise butterflies. 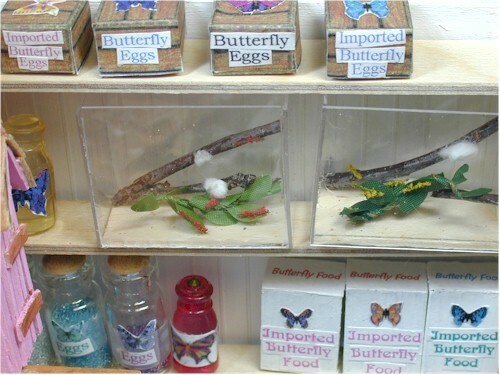 Boxes of imported butterfly eggs sit on the top shelf. 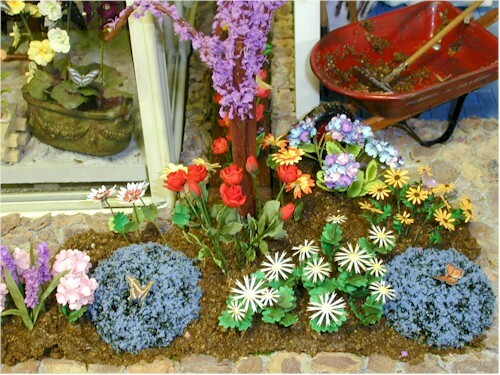 There are garden tools here too! Boxes of butterfly food, butterfly eggs, caterpillars in cocoons, butterfly house.